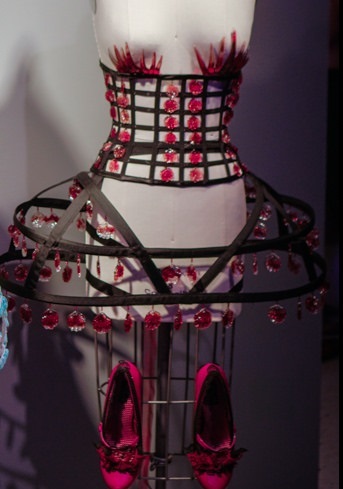 Shimmering red amulets of handmade glass art adorn the skirt. Cage hoop pannier foundation is handmade with steel boning for structure. 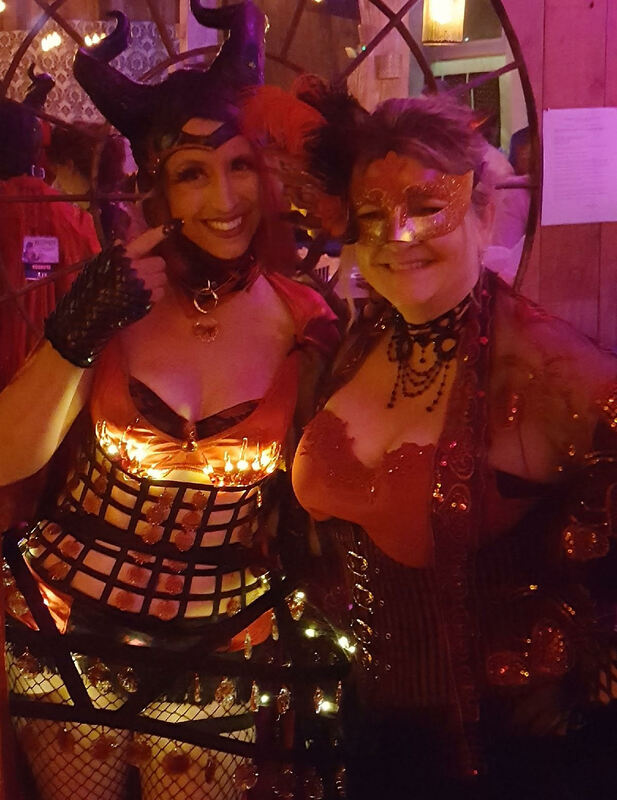 Complete couture costume includes coordinating corset with handblown glass flames cupping breasts, in a flame effect for naughty devilish masquerade ball costume. 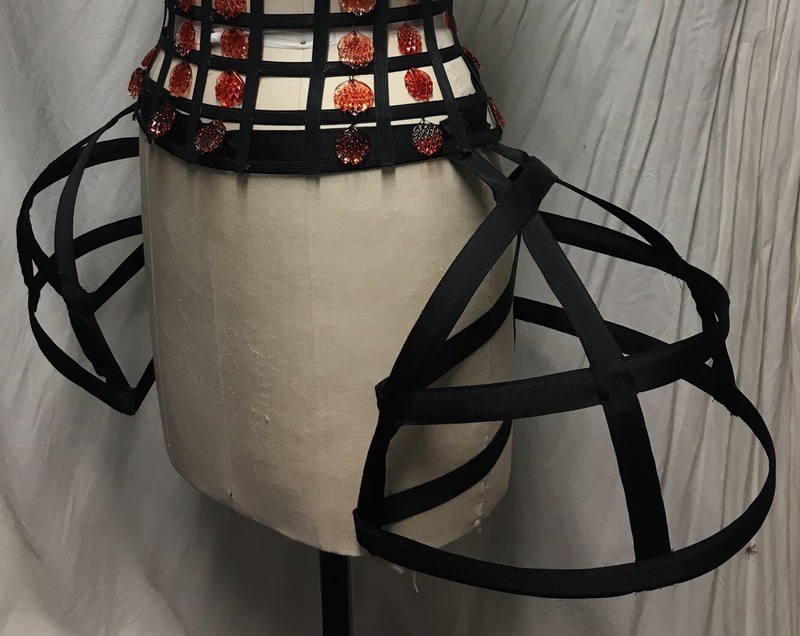 Decorative piece, not intended for waist training. 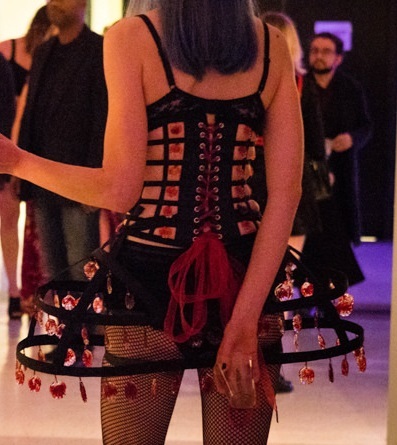 Skirt rents alone for $150, or wear the two pieces of glass art together for $175 (compared to $300 when priced separately). Skirt fits waist size 30 inches with some adjustability. DURABLE — NO NOT BE AFRAID TO RENT IT! Repairs are available for about $60 if things do break. You do NOT have to pay the purchase price if it accidentally breaks. NO WORRIES. There are a few important things to keep in mind when returning a product you purchased. You can return unwanted items by post within 7 working days of receipt of your goods. 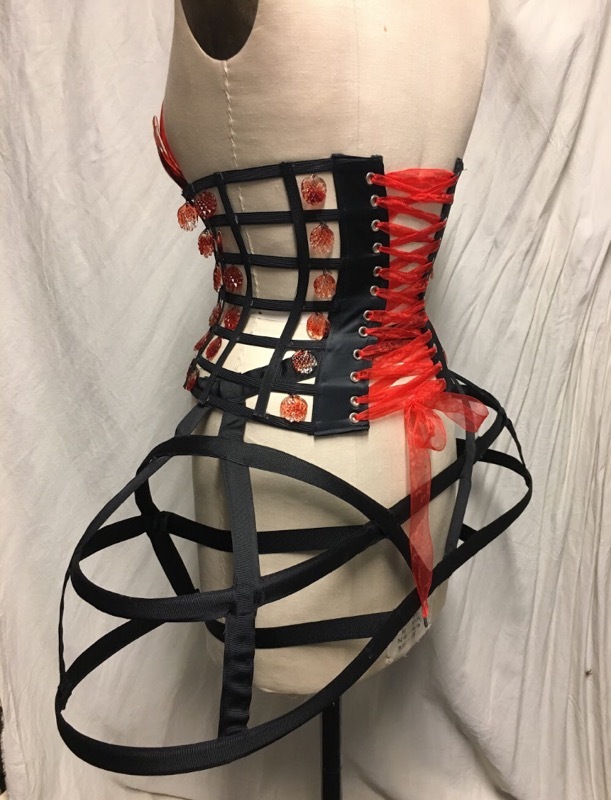 © 2019 A Masquerade Costume. All rights reserved.